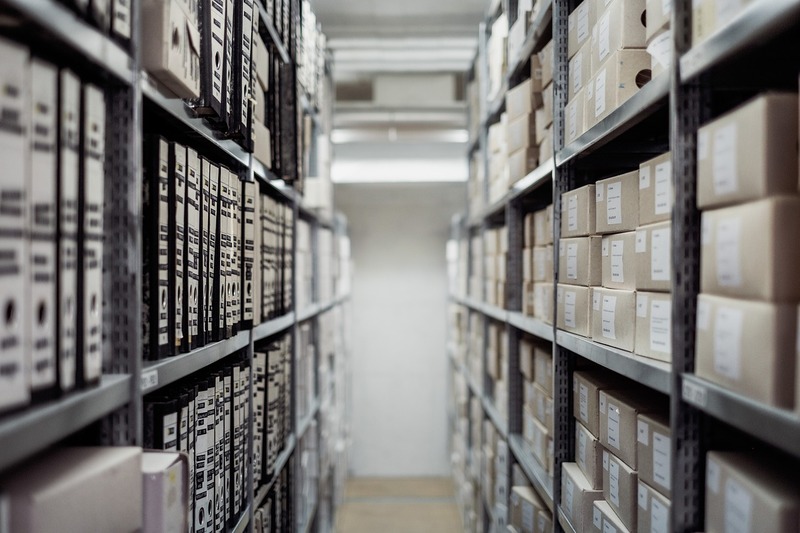 Our range of standard Warehouse Management System and Data Capture Software solutions are specifically designed to benefit a wide range of organisations. These off-the-shelf products can interface affordably with your existing system. Working with barcode technology, our flexible Warehouse Management System will put you in control of your stock, transform efficiency and profitability and improve customer service. How can a Warehouse Management System Improve Your Business? BridgeWMS will work intuitively with the structure of your warehouse. Analysing multiple factors including: item locations, stock quantities, labour availability, item weight and order volume. BridgeWMS will automatically recommend the most efficient picking instructions and deliver them to your expected courier for accurate packing and despatch. This will decrease time me spent fulﬁlling orders and will optimise the ﬂow of stock through the warehouse including stock with multiple bin locations. BridgeWMS will highlight bins to reﬁll, create replenish lists, and direct to a default bin for picking. The perceived necessity to acquire additional labour and facilities to grow your business will be negated. instructions and supported purchasing requirements. Optimising all these processes will fully utilise the facilities and labour already available, improving the organisation and capacity of the current warehouse structure. You will have access to real time, accurate records of all available stock that can be referenced at any moment of the day. Knowing exactly how much stock you have, what is already assigned to an order and what you expect to come in will prevent waste and excessive stock levels. Utilising FIFO, BridgeWMS will optimise the process of ordering, picking, packing and dispatching. BridgeWMS will provide the tools to build stronger relationships with customers and suppliers. Real time stock data will result in accurate and effciently dispatched goods which will result in enhanced customer service. BridgeWMS will provide a clear and accurate platform to manage real time stock levels in multiple locations and optimum order placement. Complete control over the movement of every item of stock will allow for accurate replenishment of stock based on the current ﬂow and demands, improving the strategic potential of warehouse management as well as the operational processes. BridgeWMS Standard is an ‘out of the box’ software package that utilises the multiple benefits of modern barcode technology. This user friendly solution is designed to ensure accurate and efficient processes throughout the Supply Chain, ultimately for better Warehouse Management. BridgeWMS Standard incorporates all aspects of day to day routine including stock takes, goods receipts, picking orders and stock movements and transfers. Receipt Manager makes it possible to create and print purchase orders from the Warehouse. Create new Purchase Orders, send Purchase Orders and receive purchase order goods all from the hand-held device. Receipt Manager improves the stock replenishing process reducing the need to hold large quantities of stock on site. Stock Manager simplifies and automates day to day stock management. Using barcode technology stock transfers, stock movements and stock takes take a fraction of previous expected time scales. Stock Manager sets a new standard for Warehouse Operations Management. Despatch Manager makes it possible to create and print sales orders from the Warehouse. Create new sales orders, generate picking lists, send spooled pick lists and pick sales orders all from a hand-held device. Despatch Manager increases efficiency of fulfilling an order leading to greater customer satisfaction. The BridgeWMS is a customisable and comprehensive software package that utilises the multiple benefits of modern barcode technology. This user friendly solution is designed to ensure accurate and efficient processes throughout the Supply Chain, ultimately for better Warehouse Management. The BridgeWMS incorporates all aspects of day to day routine including stock takes, goods receipts, picking orders and stock movements and transfers with the addition of real time updates for the most ‘live’ stock control you could need. Receipt Manager provides a platform to centralise and track every order from creation to receiving goods. Observe the progression of your orders, check on outstanding orders or view all received orders. Receipt Manager will increase efficiency in goods in and increase the efficiency of stock level control. Bridge Stock Manager simplifies and automates day to day stock management. Using real time capabilities stock transfers, stock movements, stock takes, picking and goods in can be observed as they occur. Bridge Stock Manager sets a new standard for Warehouse Operations Management. Despatch Manager provides an ERP external platform to centralise and track every order from receiving confirmation to delivery. Observe the progression of your orders in real time, check on outstanding orders or view all the completed orders. Despatch Manager will increase efficiency in picking and decrease longevity of outstanding orders. MultiLocation manages the location of an item of stock across multiple bins and locations. Using an automated FIFO approach ensures stock will never sit in a location long enough to go out of date. This alongside multiple quarantine locations will allow complete stock management between bin locations. Works Order Manager keeps track of all stages of production. Orders are added to the board and monitored by order number, product code and operation stage throughout manufacturing/sales process. A hand-held device scans the item/order and updates the board at each stage of its process. Traceability tracks all items using a serial/batch number providing the ability to oversee the movements of all items and the option to recall any faulty elements. Traceability also provides an easy to view enquiry table to show all movements of any item at any time. Courier will transfer the completed sales order from the hand-held device to the server and upload the delivery details to your courier. This is done through a step by step selection process of delivery method and details relevant for the courier. Bridge Courier will decrease lead time and increase customer satisfaction. Proof of Delivery will keep track of the order when delivered as the order will be signed for on a signatory page to confirm receipt of goods, this information is then sent back to the ERP system. Proof of Delivery will increase traceability and reduce the risk of lost packages. Mobile Sales lets you create a new sales order wherever you are and when connected to Wi-Fi or GPRS it can be sent to your system ready for picking authorisation. Link a sales order to an existing account or create a new account from the hand held device with all relevant information. Mobile Sales will decrease lead time and increase efficiency because orders can be placed and processed in the same day. Call Manager interfaces with CRM helpdesk to provide a platform to collate all the information required to effectively and efficiently manage your customers needs. As the call progresses through your support system, communication to your customer is automated sending out emails to keep them informed. Call Manager will simplify the management of all your outstanding calls and increase customer satisfaction. Bridge EDI Link automates this process, creating a personalised sales order document ready to be authorised for download to any hand-held device. Within minutes your new orders progress from your website into a package ready for delivery. Bridge EDI will decrease lead time and increase productivity. Job Costing synchronises multiple tasks required to complete an order by applying job cost codes to each work item. From a hand-held device items can be issued and returned to stock or moved to a different location using a specific job code. Job Costing decreases lead time because manual data entry is not required and increases efficiency because job and cost codes can be saved as defaults for future orders.